All elementary and secondary schools in the Diocese of Paterson earned continuing accreditation from the Southern Association of Colleges and Schools Council on Accreditation and School Improvement (SACS CASI), an accreditation division of AdvancED. SACS CASI provides nationally-recognized accreditation, the purpose of which is continuous school improvement focused on increasing student performance. To earn accreditation, schools must meet SACS CASI's high standards, be evaluated by a team of professionals from outside the school, and implement a continuous process of school improvement. Accreditation is granted on a five-year term. 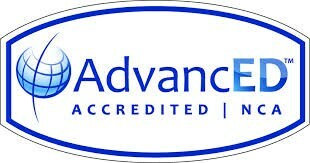 Dedicated to advancing excellence in education through accreditation, research, and professional services, AdvancED is the world's largest education community, serving and engaging over 27,000 public and private schools and districts in 69 countries and serving nearly 16 million students. AdvancED is the parent organization of the North Central Association Commission on Accreditation and School Improvement (NCA CASI) and the Southern Association of Colleges and Schools Council on Accreditation and School Improvement (SACS CASI). St. Joseph School is recognized as a “Star School” by the Paterson Diocese. This select designation is bestowed upon a school on the "cutting edge", one that promotes high student achievement, and has an identifiable specialization addressing the needs of our students. To receive the Star School distinction, a school’s faculty must be engaged in continuing professional development. Furthermore, the school must demonstrate fiscal and administrative efficiency in the educational program. Most significantly, student results, school accomplishments, and collaborative efforts between the student body and parents, parish and community are fundamental factors in determining whether a school receives Star School designation.